Brief Description: Are you the Tigers most loyal supporter? 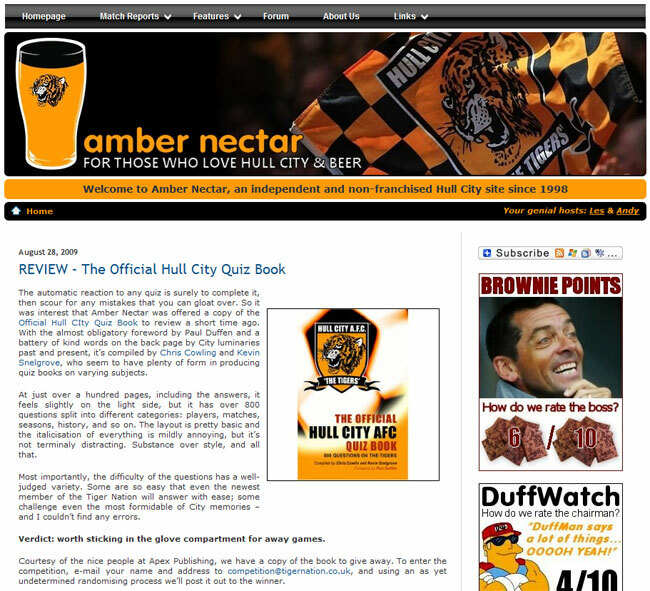 Do you know everything there is to know about Hull City AFC? Then impress your family and friends with your knowledge by answering the 800 challenging questions in this quiz book, each one designed to test your memory of the highs and lows that have shaped the Tigers’ history. There are sections on players, managers, opponents, scores, wins, losses and much more but be warned; you might just find yourself arguing with the referee and calling for extra time as you try to recall all those memorable moments that have made the Tigers into the team they are today. Packed with information, this book is a fitting tribute to Hull City AFC and will delight old and young fans alike. A treasure trove of fascinating facts, some well documented, others less so, this quiz book is guaranteed to entertain and inform. 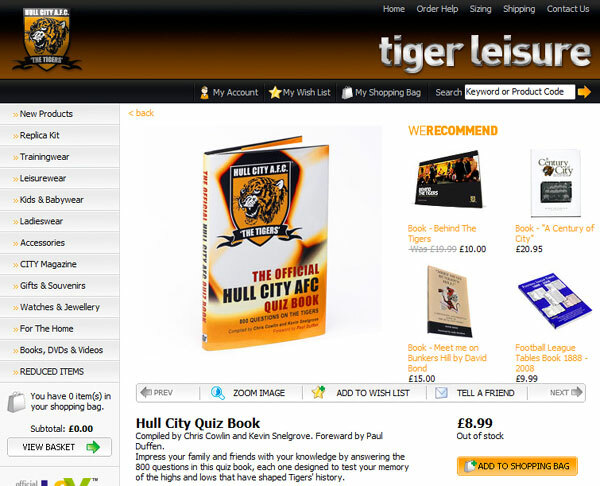 So, whether you are the Tigers number one fan or simply a dedicated football enthusiast, The Official Hull City Quiz Book will provide you with hours of fun. Having been around Hull City AFC for much of the past decade, I know how colourful and varied the history of this great Club is. Of course, it goes back much further than my own involvement and the current position of the Club has been shaped by what has happened during the last 105 years. There have been memorable times for the right reasons and some for the wrong reasons, but whichever way you look upon it, much of what has happened is covered in this fascinating quiz book. As one of the fortunate few to have seen a preview copy, I know you are in for hours of fun and I hope that you enjoy this fantastic quiz book as much as I did. A book that every Tigers fan will not be able to put down. A true test for any Hull City fan, with so many questions this is sure to keep you entertained for hours! The variety of questions ensures that both young and old can enjoy the Hull City experience, past and present. The history of Hull City is long and varied and I’m sure the questions included in this book will bring back plenty of memories. Having been fortunate enough to see a preview of this book, I know that Hull City fans of all ages will be entertained for hours with questions about the Tigers past and present. I hope you all enjoy this wonderful quiz book as much as I did. 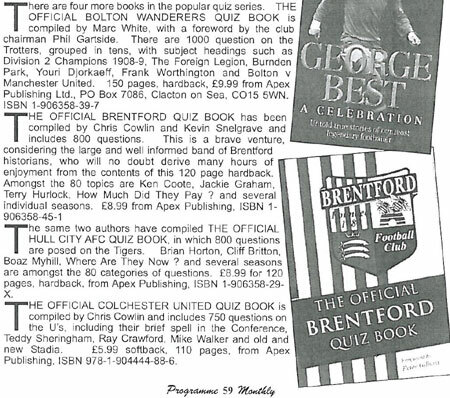 I really enjoyed The Official Hull City AFC Quiz Book. It will test the memory of every Tigers fan! A wonderful set of questions, perfect for any Tigers fan. Have as much fun with this book as I did with Hull City. A must for all Hull City fans, great fun and a real test for any fan. How much do you know about this great club? This excellent book will help you to discover the answer to that question and to many more. This quiz book has it all, facts, figures and information about Hull City. A great set of questions for any Hull City fan to try and tackle - I was certainly caught out on a few, this book will be great for down the pub and amongst friends - a must for any Tigers fan! 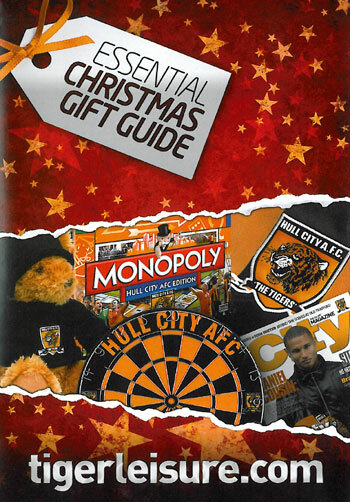 What a great book, a perfect gift for any Hull City fan! This book has so much information in that teaches you a lot about the history of Hull City – I am sure you will have a lot of fun with this! A true test for all Tigers fans, fun for all the family. Absolutely essential for any true Tigers fan to test their mettle. More fascinating facts and figures than the twists and turns of fortune for this fabulous football club. Quiz book will test Tigers fans’ knowledge HULL: Fans of Hull City will soon be able to test their knowledge about the Tigers. 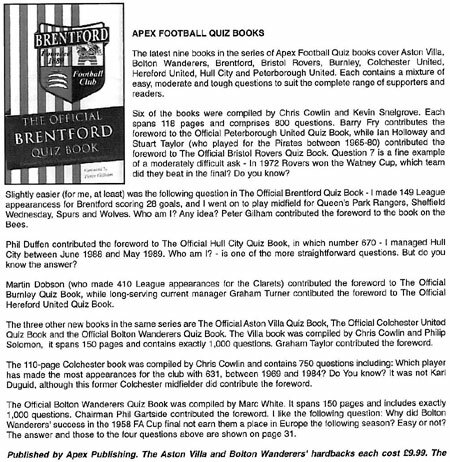 The Official Hull City AFC Quiz Book, containing 800 questions about the newly-promoted Premiership club, will be released on October 24. 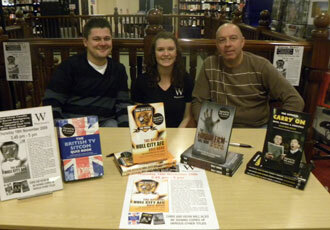 The book is designed to test supporters’ memories of the highs and lows that have shaped the Tigers’ history. Authors Chris Cowlin and Kevin Snelgrove will be signing copies of their book at Waterstone’s in Jameson Street on Sunday, October 26, from 10.30am to 12.30pm. 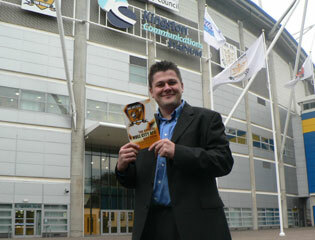 Hull City chairman Paul Duffen has written the foreword to the hardback book, which will be on sale for £8.99. 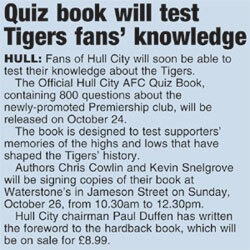 A NEW Hull City quiz book is being published next month. 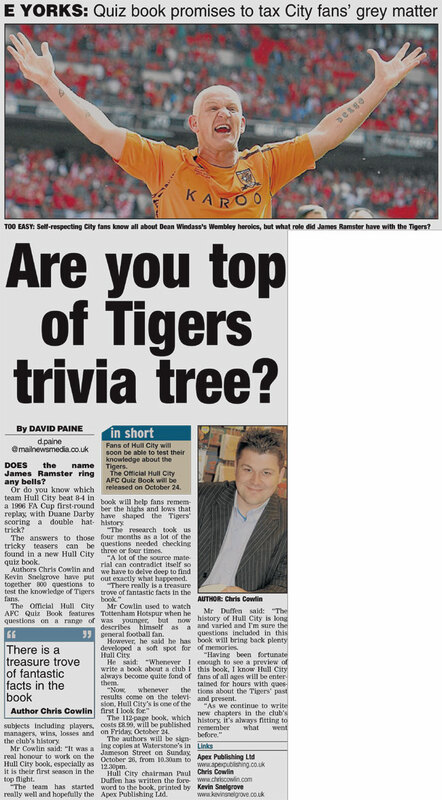 Authors Chris Cowlin and Kevin Snelgrove have put together 800 questions to test the knowledge of Tigers fans. 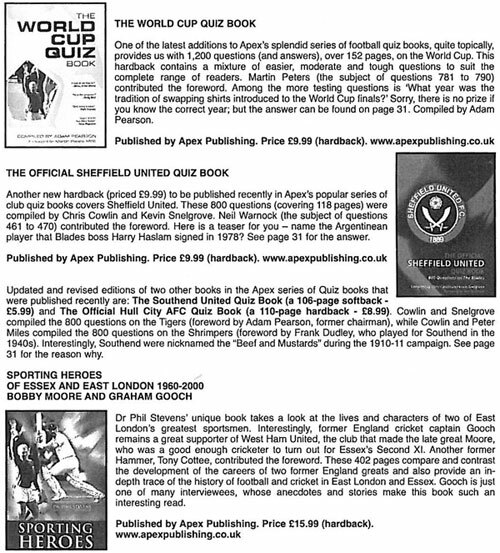 The Official Hull City AFC Quiz Book features questions on a range of subjects including players, managers, wins, losses and the club's history. Mr Cowlin said: "It was a real honour to work on the Hull City book, especially as it is their first season in the top flight. "The team have started really well and hopefully the book will help fans remember the highs and lows that have shaped the Tigers' history. "The research took us four months as a lot of the questions needed checking three or four times. The 112-page book, which costs £8.99, will be published on Friday, October 24. 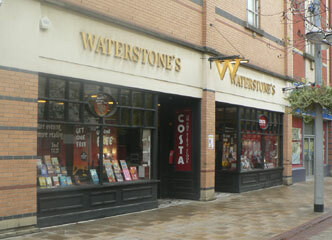 The authors will be signing copies at Waterstone's in Jameson Street on Sunday, October 26, from 10.30am to 12.30pm. Hull City chairman Paul Duffen has written the foreword to the book, which is printed by Apex Publishing Ltd.
Mr Duffen said: "The history of Hull City is long and varied and I'm sure the questions included in this book will bring back plenty of memories. 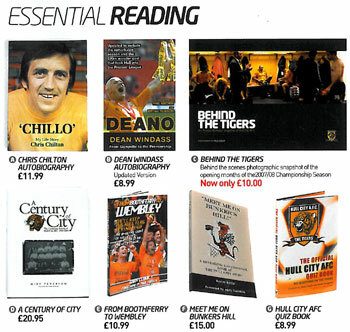 "Having been fortunate enough to see a preview of this book, I know Hull City fans of all ages will be entertained for hours with questions about the Tigers past and present." 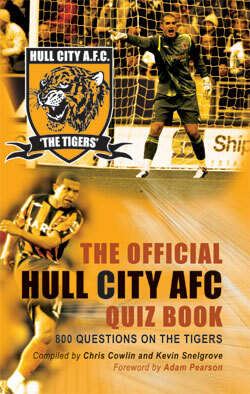 THE OFFICIAL HULL CITY QUIZ BOOKThe official Hull City AFC Quiz Book is now available for all avid fans of the Tigers. Compiled by Chris Cowlin and Kevin Snelgrove, the book has 800 questions with sections on players, managers, opponents, scores, wins, losses and much more. And we've got five of the books to give away in our competition. See Selby Times for details. Chris Cowlin was interviewed on KCFM 99.8 FM. 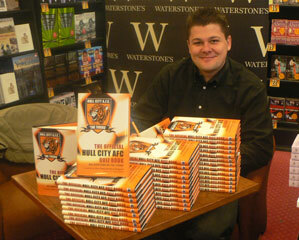 Chris answered questions about his book 'The Official Hull City AFC Quiz Book'. 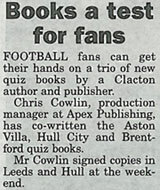 The Official Hull City AFC Quiz Book, compiled by Chris Cowlin and Kevin Snelgrove, was featured (and a competition run) on KCFM 99.8 FM, on 'The James Clark Show'. Kevin Snelgrove was interviewed on Yorkshire Radio. 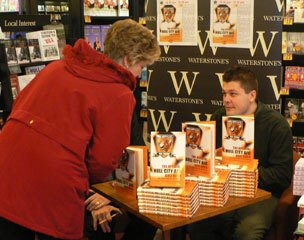 Kevin answered questions about his book 'The Official Hull City AFC Quiz Book'. Chris Cowlin was interviewed on BBC Radio Humberside 95.9 FM. 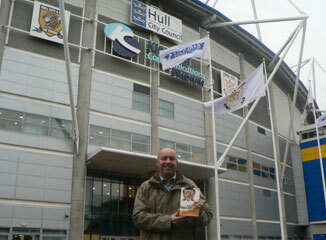 Chris answered questions about his book 'The Official Hull City AFC Quiz Book' on 'The James Hoggarth Show'. A great set of questions and the ideal test for a true Tigers fan! I hope you have as much fun with this as we did in the studios! 19 November 2009 - Chris Cowlin and Kevin Snelgrove were interviewed on BBC Radio Humberside 95.9 FM. 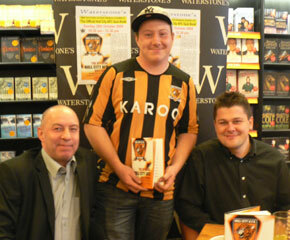 Chris and Kevin answered questions about their book 'The Official Hull City AFC Quiz Book'. 19 November 2009 - Chris Cowlin and Kevin Snelgrove were interviewed on KCFM 99.8 FM. 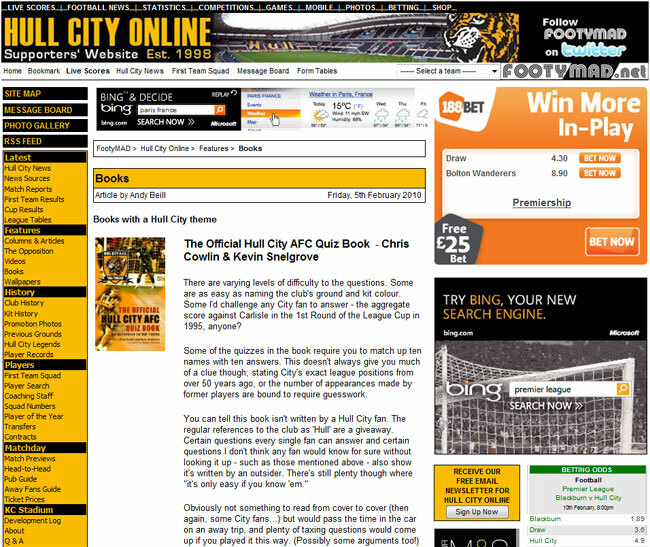 Chris and Kevin answered questions about their book 'The Official Hull City AFC Quiz Book'. 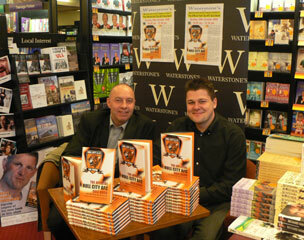 Chris Cowlin and Kevin Snelgrove signed copies of their book 'The Official Hull City AFC Quiz Book' at Waterstone's, Hull. 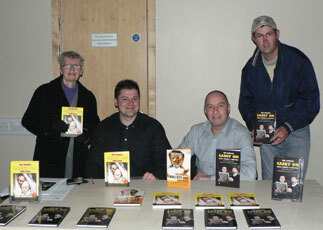 Chris Cowlin and Kevin Snelgrove signed copies of their book 'The Official Hull City AFC Quiz Book' at the Hull Comedy Festival 2008. Compiler Chris Cowlin (left) and Kevin Snelgrove (right) with their book 'The Official Hull City AFC Quiz Book' at Hull City Association Football Club, The Kingston Communications Stadium. 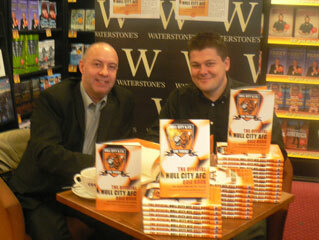 Chris Cowlin and Kevin Snelgrove signed copies of their book 'The Official Hull City AFC Quiz Book' at Waterstone’s, Hull.